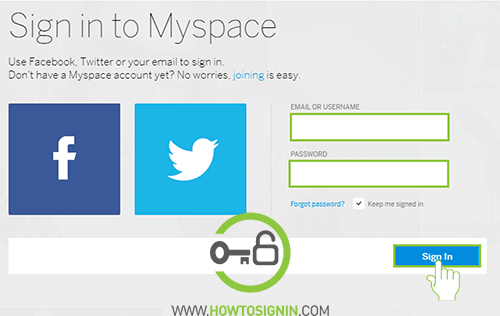 Myspace login is possible via PC/MacOS X to access the web version of Myspace. 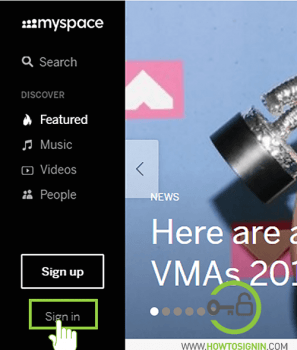 Myspace app is no longer available on the mobile devices, so for Myspace sign in from Android and iOS devices you need to access its web version using the web browser on mobile. You need to login to Myspace account to meet new friends, collaborate with them for discussion, creating groups, share your blog posts and tell your story, upload music, and videos to showcase your talents to the larger audience. You can also send instant messages to your friends and family and chat with them. Don’t have an account? Create a new Myspace account now. Visit myspace.com from any browser. On the Myspace homepage, click on Sign In on the left sidebar. In the login page, enter your email and password associated with your Myspace account. If you had created your account using a social account, you could just click on the corresponding social icon to sign in to your account. You can tick on Keep me signed in so that you don’t have to enter login credentials each time. Finally, click Sign In button. After successful sign in, you can use Myspace to the fullest. 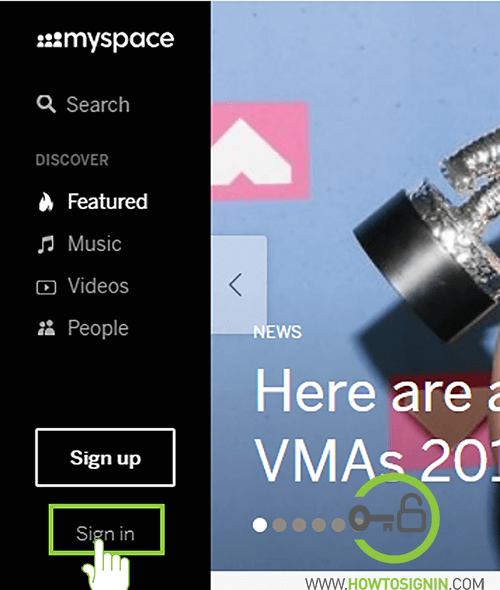 How to reset Myspace password? There are a various reason why you can’t sign in with Myspace account. One of the main reason is you forgot the password for the account. Forgot Myspace password? Don’t worry you can easily reset it with few clicks. Go to Myspace sign in page. Click on the Forgot password? It’s the button just below the password field. You can reset the password using a username or your email address. Provide your email or username and click Submit. You’ll receive the password reset request in your email address. Click on the password reset link. Enter a new password for your account and verify it. Make sure you’ve entered the same password in both boxes and click Reset Password.